I have an 06z with some modifications, mild cam,headers, Vararam intake. The car has been dyno-tuned, (of course) and makes terrific power (541rw) however, the car needs a more a detailed tune. Anything below 3500 is aggravating. It surges badly due to the ECU flip flopping the timing from 10 to 30 constantly and while it idles fairly smooth, considering the cam, the exhaust smells very rich. ??? I was told that the ECU is a Bosch Motronic is this true? I am in the Southeast, anywhere in GA,FL,AL that has an EDDY CURRENT DYNO would be great. Any suggestions? I am a very experienced calibrator (tuner) located in Melbourne, FL. I design engines and fuel systems for a living (Master of Science in Mechanical Engineering). I street tune to perfection but also bring customer cars to various dyno shops in the area if needed (typically when the car makes 600+whp and becomes a safety issue). I generally will spend 10-14 hours to get everything perfect. The idle, low throttle, driveability is the difficult part. More than 50% of my business is fixing other "dyno tuning" shops tunes. They charge you $600, strap it down, tune it quick for high throttle (2-3 hours) and shove it out the door. I charge about the same or less and the results are a complete and thorough tune. Let me know if your interested. My info is below. Always try to chose an exhaust for your Corvette used to be a compromise between sound and sanity. An aggressive, head-turning note often meant having to shout to your passenger while driving down the highway. Is a misfire on your data log a big deal? Do I need to even worry about trying to correct it or just figure you are going to have x amount of misfires when you are driving your car. I had my car tuned by a person recommended to me and I think the tune far exceeded my expectations. But I have this nagging thought in the back of my head about misfires still. My before data was 524 spark knocks 8 misfires 1.2 knock degrees 3.4 max KR. My after data was 9 spark knocks 4 misfires 3.7 knock degrees 3.7 max KR. As you can see the factory calibration is terrible. This data log was taken over about 30 minutes, most of it was done at WOT and high rpm loads you would normally never do on the street while driving unless you were trolling for a ticket. So do I need to look at upgrading my coil packs? Or is what I read about higher voltage coil packs just more crap and the misfire situation is normal? The problem with the GM design is the PCM is looking for any stutter via crank and that would assume misfire. Looking at just one of the misfire tables on my stock OEM calibration ( which I have not used for years as tuned) you see how little time in uS is allowed. Also if this bugs you via a scanner, you could ask you tuner to make changes so the elapsed times even more allowed is changed to larger time windows but if no flashing CEL or hard DTC tripping ignore it and enjoy the car. If your fuel trims look good, not real rich and your spark-plugs are clean and proper gap, more slanted then to false misfire. Thanks for the reassuring answer. 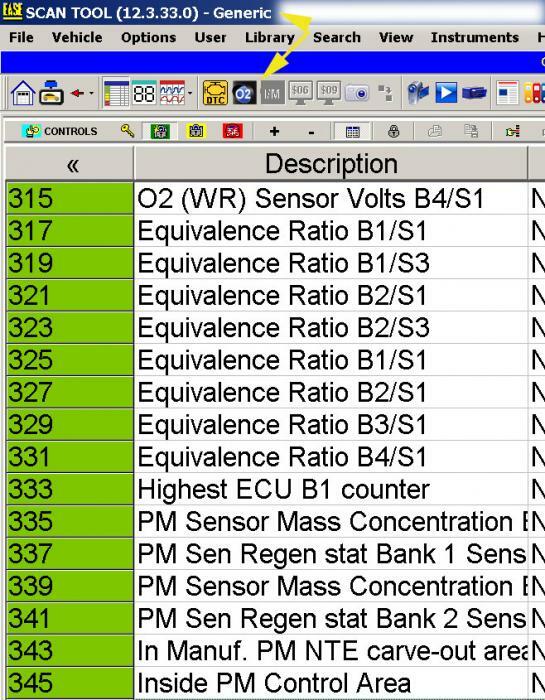 The "misfire" is only showing in the data log that the tuner (JR Team ZR1) sent back to me. There are no codes and no CEL light so it is really just me looking at things I don't need to be concerned with. Also I should have known that if JR didn't mention it while we were doing the tuning it was not a problem. He may have, but we covered so much territory, I don't remember that issue. The winter weather is finally starting to break around here, and I will soon be able to get my car out again. After doing the tune last year and a few other things I din't get to drive the car much. So now seemed like a good time to check all this stuff before it gets to late to do so. I also happen to be due for a emission and safety inspection in about 45 days and don't want any issues in getting my plates renewed. This will be my first emissions inspection since the tune. So if no DTCs or check engine lights or off the car would pass. If most are in passed state then your fine. I use the same tuner since early 2000s and even my supercharged C5 Z06 with CAM, bigger fuel injectors has passed smog tests with his tunes. Last edited by racingvette; 03-13-2019 at 02:08 PM.